Industry Consortium at no cost. See LandXML.org members mapped in Google Earth. Launched January 2000, LandXML.org is committed to providing an non-proprietary data standard (LandXML), driven by an industry consortium of partners. There is no direct cost to join LandXML.org, nor specific level of participation required. Once you join, stay informed and participate by using the LandXML discussion email list landxml@freelists.org. Version 2018 of the free Carlson Precision 3D LandXML Viewer is available. Click here for the installation instructions video. Now you also can load pointcloud files (las/laz, xyz, e57, ply, pcl) and overlay them with LandXML data. 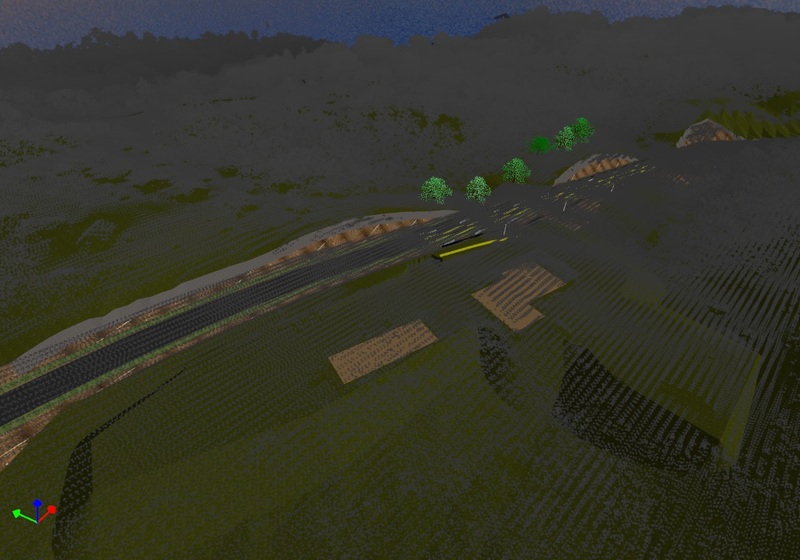 You can draw polylines directly on the clouds and a measure tool is included. It supports, points, surfaces, Volume Parcels, alignments, parcels and plan features round tripping with colors, embedded 3D objects, improved auto texturing. LandXML-2.0 samples files with polylines, coordinate systems, embedded 3D objects and multitextured surfaces are available on the samples page. Added a MaterialTable with display and materials attributes for any CoordGeom, CGPoints, cross sections and surface faces elements. This works for any elements derived from <CoordGeom> and <Point3D>. Added a road design cross section template table. Added Pond definition to PipeNetworks → Struct element. Added Channel definition type to PipeNetworks → Pipe element. Adoption of XML digital signature for signing and sealing LandXML instance content. 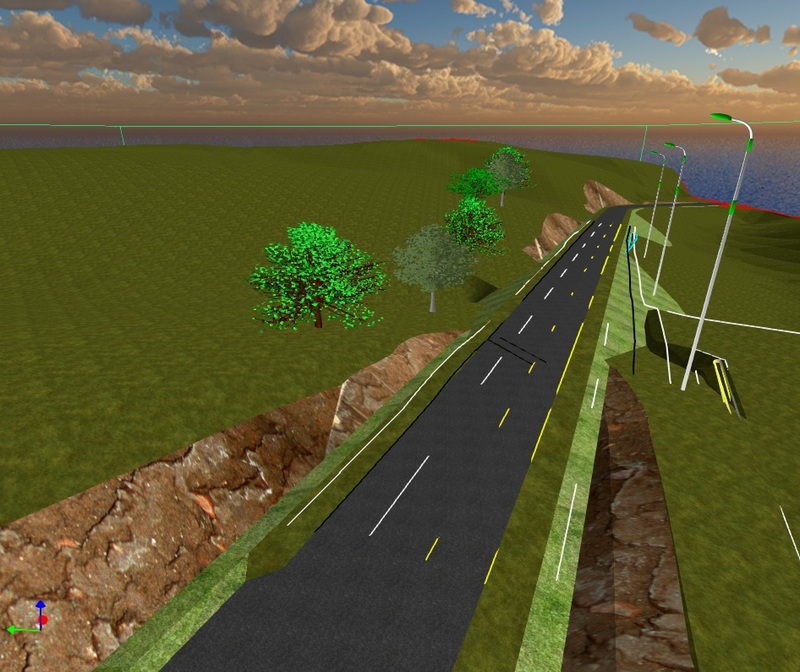 ►Incorporate 3D Road model improvements from worldwide input. Storm water open system culverts, ditches, ponds and allow combined closed/open networks. The LandXML 2.0 (Working Draft) Schema and 2.0 HTML (Working Draft) documentation are now available on the LandXML Schema Versions & Specifications page. Thanks to Ladd Nelson of Carlson Software for updating the web site UI and layout. New web application to convert FAA NGS survey data to LandXML-1.2 on web applications. Is your software LandXML Registered and Certified? Software vendors Apply for Registered Software status today! LandXML Validator & Report Generator on the Web Applications page. Is your software application LandXML Registered and Certified? LandGML: The collaborative experiment has concluded. Here are comments on the results. Learn more about how the Federal Highway Administration's Interactive Highway Safety Design Model (IHSDM) www.ihsdm.org can help produce safer road designs. IHSDM 2006 Public Release (Version 3.00) is now available for download and imports data from road design software supporting LandXML 1.0. Windows 3D thumbnail preview for LandXML files.